Ontario's turtle trauma centre is seeing double the number of admissions as last year, with most turtles coming in because they've been run over by cars. Ontario's major turtle trauma centre is declaring a state of emergency after taking in nearly 600 injured turtles this year. The hospital at the Ontario Turtle Conservation Centre is bursting with the number of turtles it's trying to rehabilitate. Turtle surgeon Sue Carstairs spends most of her days operating on dozens of turtle shells that have been crushed by cars. 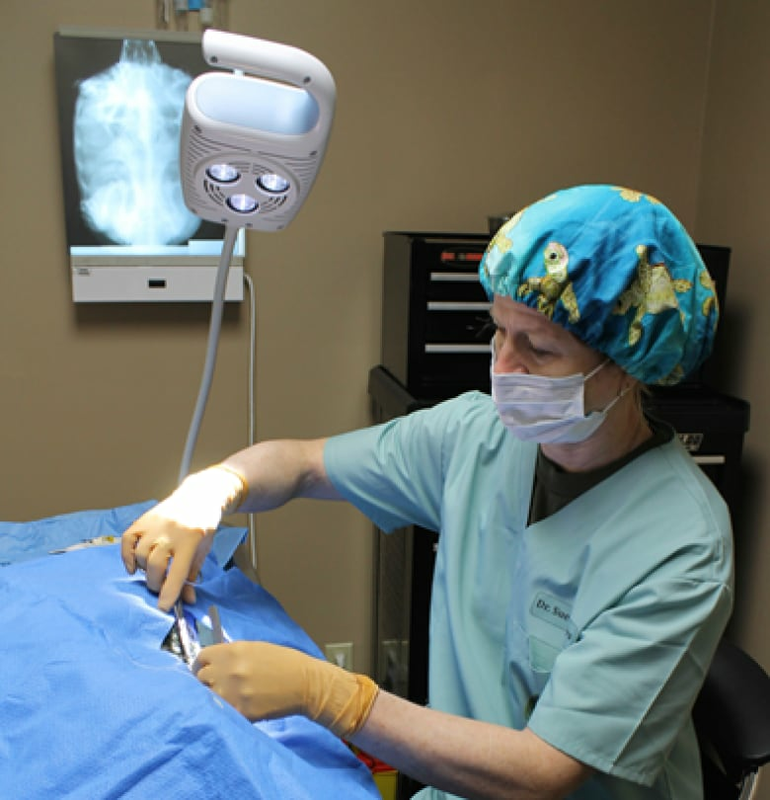 "We are beyond maximum caring capacity ... we've never seen it this busy," said the veterinarian and executive director of the centre, based in the Kawartha area in central Ontario. "We've had double the number of admissions. We're not sure why." It could be because the rainy weather across Ontario is ideal for the cold-blooded creatures, according to Carstairs. "This year we're seeing the turtles on the move more than last year," she said, adding that the centre will continue to keep taking in turtles despite the influx. In addition to habitat destruction, Carstairs said vehicles are a top threat to the province's turtles. "Most of the ones that come into our hospital are injured on the road," Carstairs said. "Most have very severe fractures of their shell. 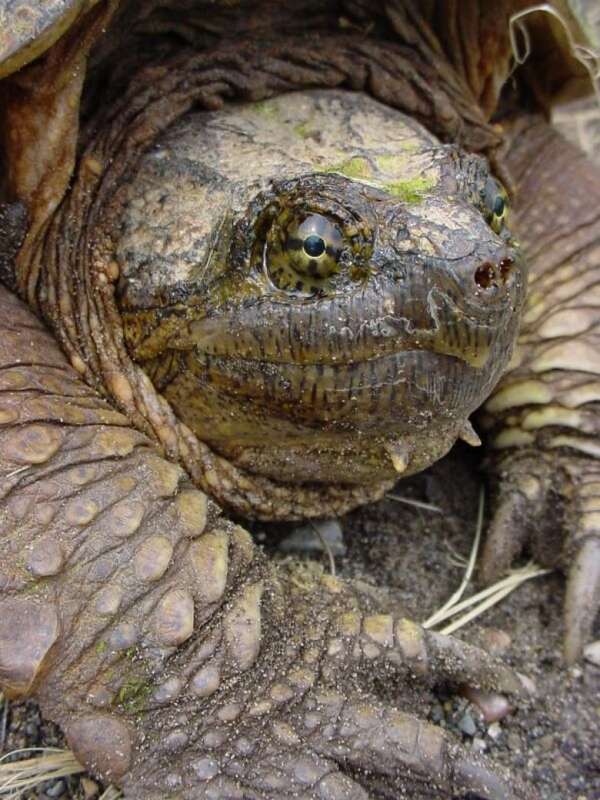 There is a lot of head trauma too, especially in species like snapping turtles that can't hide in their shell." The high number of turtle injuries is concerning for Carstairs, since seven of Ontario's eight species of turtles are considered species at risk. "Every adult is vital," she said. "They take up to 20 years to reach maturity. So they need to live a long, long time to even have a chance of replacing themselves in the population." 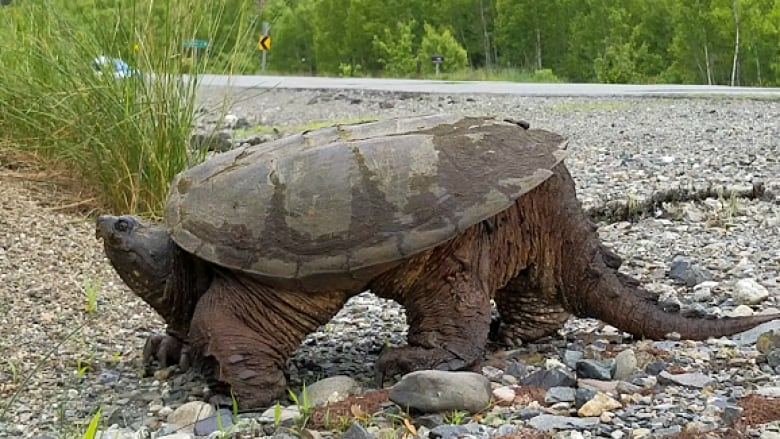 New road developments may also be contributing to turtle injuries, according to Amy Henson, a biologist with Science North in Sudbury, Ont. "Right now is the time of year we're going to see a lot of turtles. They're out there laying eggs," she said. "Coincidentally, highway shoulders are one of the best place for turtles to lay their eggs, because they're soft, gravelly, and very warm." Henson said turtles have been around for millions of years, which means they aren't going to quickly adapt to new roadways. 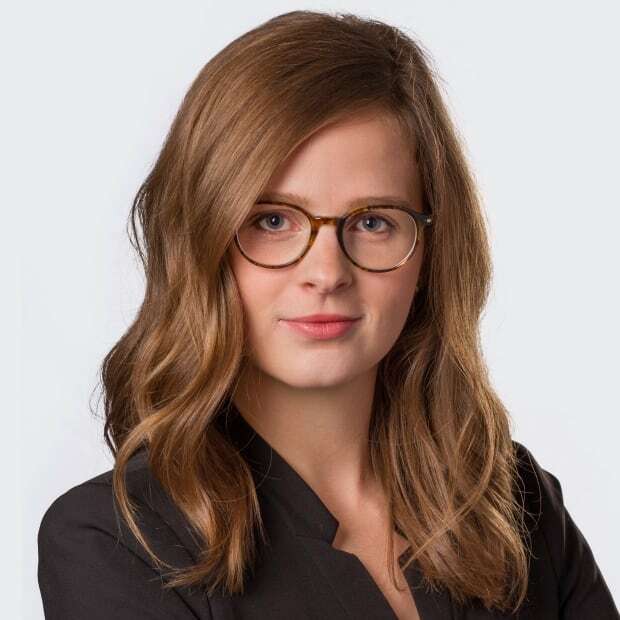 The Ministry of Natural Resources and Forestry has set up turtle underpasses in new road developments, including Highway 69, south of Sudbury. Henson said it's likely there aren't more turtles being injured, but that more people are helping them. "The conservation centres are getting a lot of turtles because people care about them so much. And I think that's a real win on conservation behalf," she said. If it's safe to do so, you can "absolutely" help a turtle cross the road, Henson said. "Just make sure you're pointing him in the same direction as when he started, and take him off the road two metres." Henson added that people should move the turtle quickly, rather than picking it up and posing for a photo op. "That can confuse the turtle and get him all turned around," she said. If you find an injured turtle, you can contact the Turtle Trauma Centre. 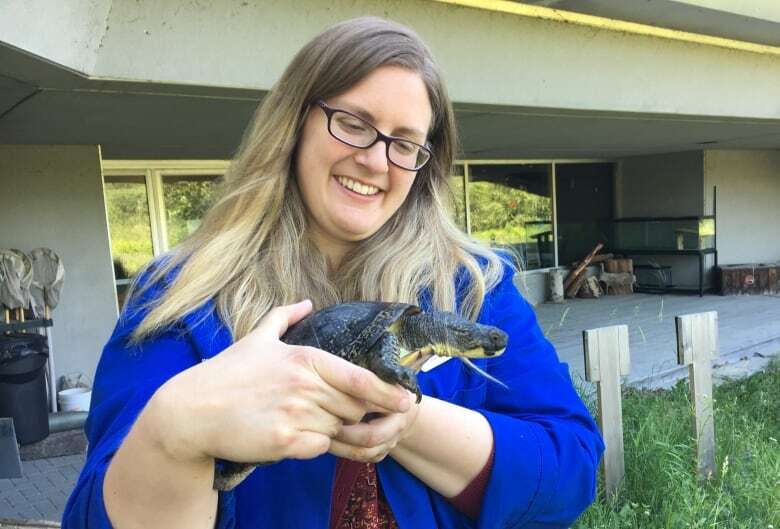 Listen to our interview with Science North biologist Amy Hensen here.